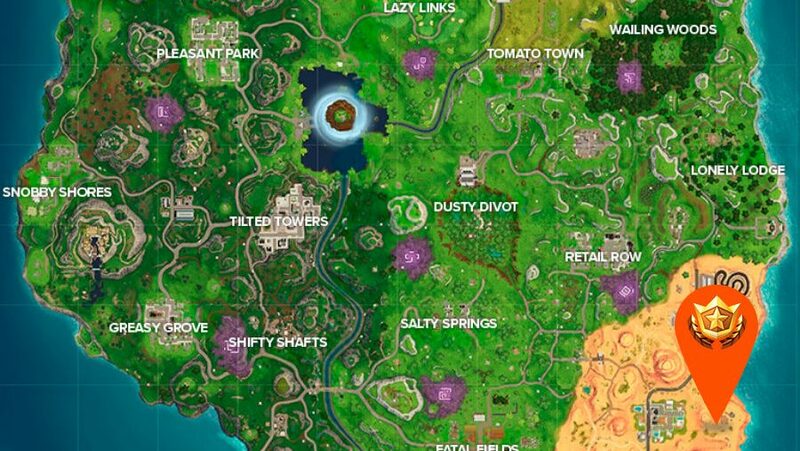 Where is the Fortnite Hunting Party week 1 Battle Star? Fortnite season 6 has arrived and it has brought with it a new type of challenge for us to get stuck into. Last season this kind of loading screen challenge told the evolving story of Drift, Brite Bomber, and Cuddle Team Leader, but the Fortnite Hunting Party week 1 challenge appears to begin a new narrative featuring the newly-added Calamity. Road Trip challenge hunters will be in familiar territory, here: once again, you need to complete every challenge for the corresponding week and you will get a new loading screen. That then gives you a clue as to where a hidden Fortnite Hunting Party week 1 Battle Star can be found. In the first of the Fortnite Hunting Party challenges we’ll be dropping just east of Paradise Palms. There’s plenty more Fortnite season 6 coverage where that came from, however. For all the details on the latest update check out the Fortnite patch notes 6.0 and all the Fortnite season 6 map changes. Of course, a new season means ten weeks of new normal challenges, too. You’ll need to dance under different Streetlight Spotlights in week 1 but, since you’ll need to have completed that to be cracking on with the Fortnite Hunting Party week 1 challenge, we imagine you’ve done that already. Anyway, here’s where you need to go to pick up a quick and easy Battle Pass tier. 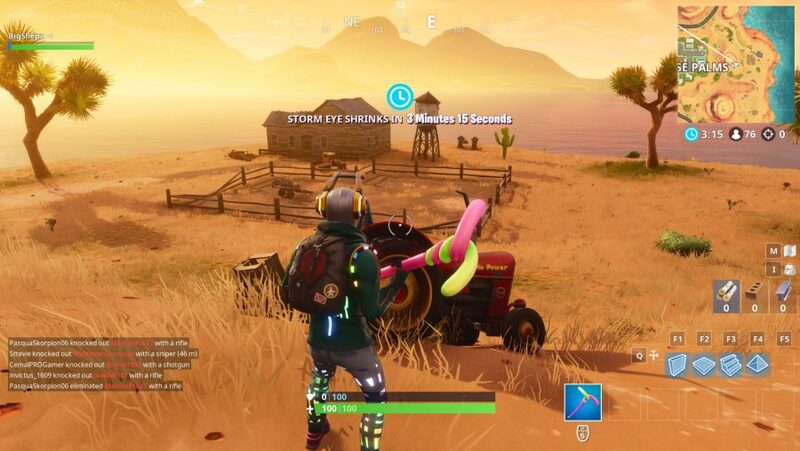 As we said, the hidden Battle Star can be picked up just east of Paradise Palms. When your floating in an easterly direction over the settlement, pass over a small hill with a shed atop it and look for a red tractor. 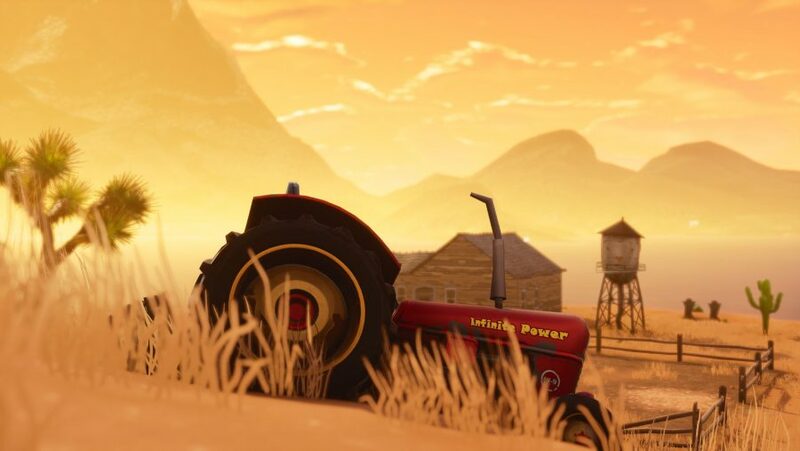 Once you’ve completed all the week 1 challenges the Battle Star will appear above this vehicle. To make it as easy as possible for you to get your free tier, we’ve marked the location on the map and include some screenshots.